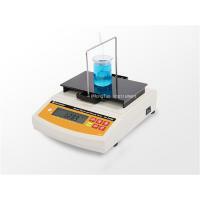 In accordance with Archimedes principle, GB/T 611,GB/T1154,GB/T12206,GB/T5518 standards etc. Adopt the dynamic measurement without memory;No need to press the button; Memory quickly;Automatically judge whether density is qualified or not and prompt alarm through the setting of top and bottom limitation; Function of measuring density with three mode; Get out of the cumbersome operation of re-calibrate when change weight; It is more high-precision, convenient, rapid,hommization; Function of displaying concentration ,density and baume. 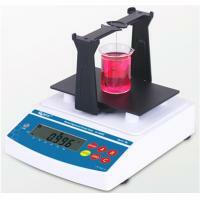 (1) Density value can be showed by one procedure;repeated continuous rapid measurement can be worked. (2) Digital display; High accuracy of measurement;Simple operation; Stable and durable. (3) Density value of samples with temperature from normal to 100 centigrade can be measured. (4) Take samples conveniently;50CC or less would be okay. 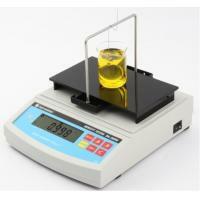 (5) It is very easy to clean measurement cup;can’t got the limitation of the size of pycnometer caliber. (6) Adopt completed windproof and dustproof cover,which makes structure convenient and durable. (7) Adopt completed stainless steel measuring hook. 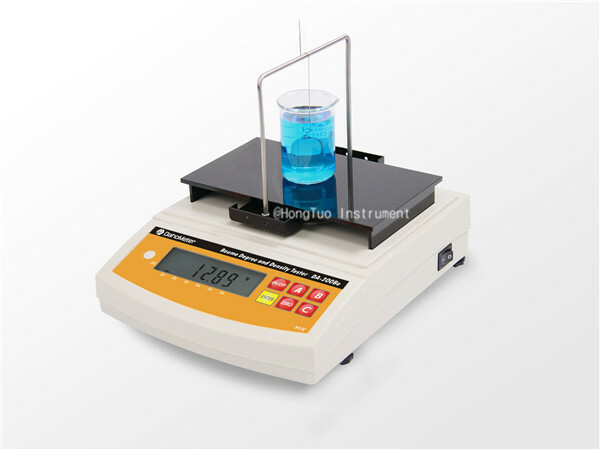 (9) Function of displaying concentration of density and baume.Volatile liquid,corrosivity liquid,vicidity liquid,strong acid and strong lye liquid can be measured quickly. (10) Interface of RS-232C is included.the printer of DE-40 is available to connect PC with the instrument. Place beaker with samples on testing board.and take off weight of pothook. 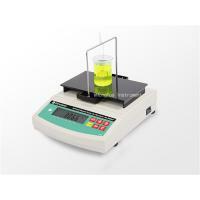 DE-40 printer,DE-20B anti corrosive liquid measurement assembly. alarm rings when judge density unqualified. auto correction with one button,auto detection. Please check out:whether the windproof and dustproof cover is closed well;whether the measuring shelf is touched with container plate;whether there is dirty or water drop is underneath of plate..if it is,please clean up the dirty or water drop,re-install container plate and measuring shelf. Please do calibration again.and put the weight on the centre of measuring bridge.for 300 model,the error should be within 100g±0.005g;for 120g model,the error should be within 100g±0.01g. Please check if it is surroundings take effect on measuring. Please check if there is bubble on specimen when it is put into water.